If you liked this show, you should follow Manhattan Chamber of Commerce. On October 15, at Noon, my guest will be Ken Conn. Affectionately known to his friends as Cajun Ken, Ken was born and raised in the deep South, spending most of his formative years in the port cities of Mississippi and Louisiana. While having a strong love for the South and appreciation for his Southern roots, he also has had a lifelong fascination with New York City. So strong was the lure, that at age twelve he ran away, making it as far as the Port Authority before New York City police found him and put him on a bus back to the dusty roads of Mississippi. Ken found his love for cooking at age twenty while working aboard an offshore tugboat. There he learned hands-on from the boat’s cook and developed a passion for the Cajun style and food experimentation. Ken is mostly self-taught and thinks that not having been professionally trained as a chef is an advantage. It gives him credibility when he tells people who say they can’t boil water that he’ll have them cooking a true Southern down home meal in no time. Fulfilling his dream, Ken moved to New York City from Biloxi Mississippi in 2004. He loves the city as much as he thought he would as a kid, but also takes frequent trips home to see family and immerse himself in Southern ambiance. Changing cities didn’t change his passion for food. What began as an informal instruction for friends developed into a series of cooking classes taught and organized by Cajun Ken. 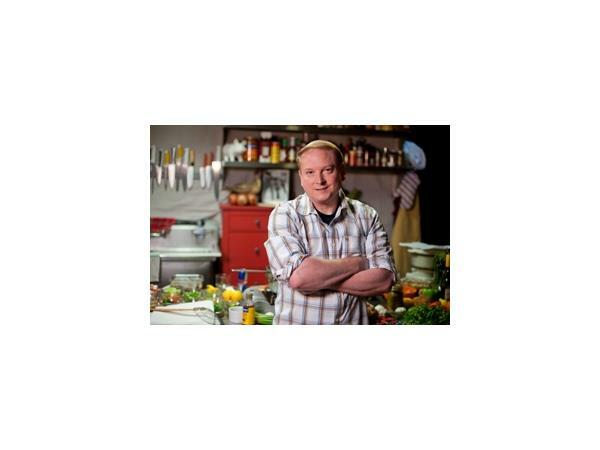 Looking to reach more people, Ken began to develop and produce a network cooking show. Cajun in the City now airs to over 1 million New Yorkers each week and is slated to air in Brooklyn, Queens and The Bronx in Fall 2014.